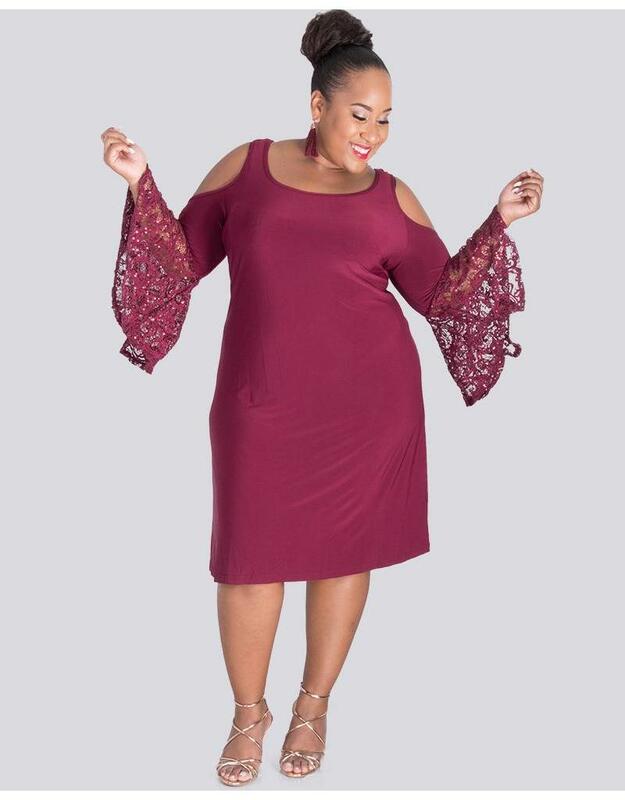 Sparkly detailing gives the chic cold shoulder dress the added touch you’ve been looking for. 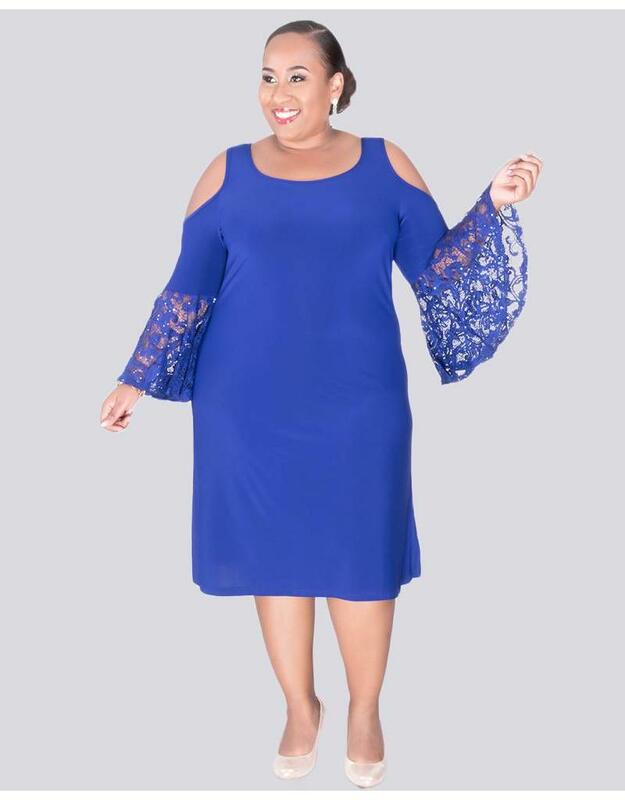 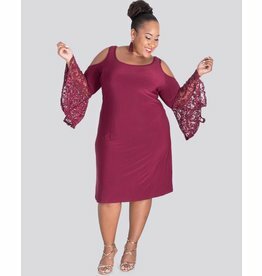 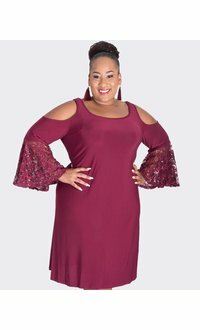 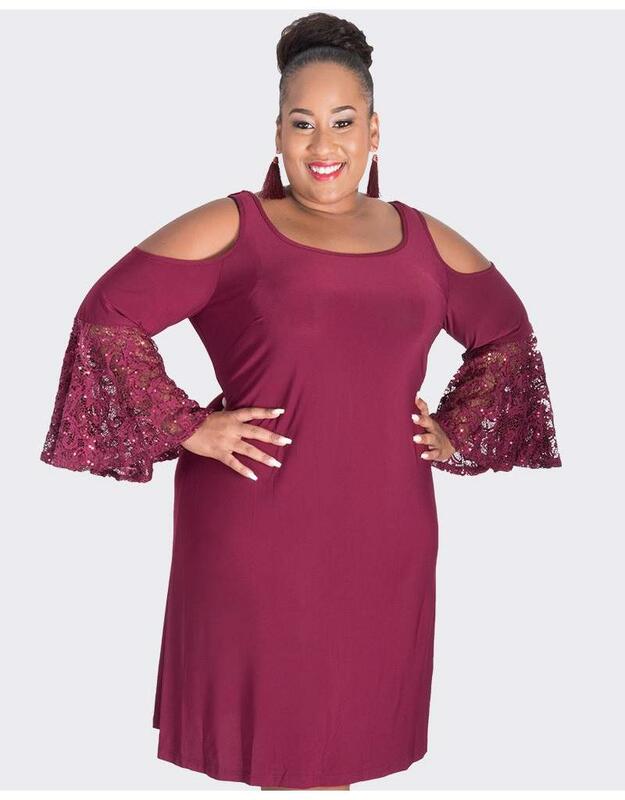 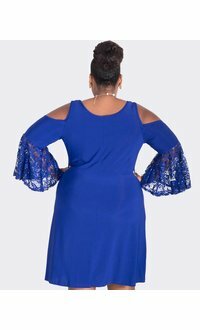 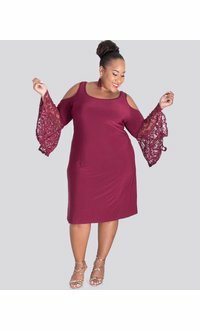 The dress features a round neckline, broad supporting straps and 3/4 bell sleeves with lace illusion detailing. 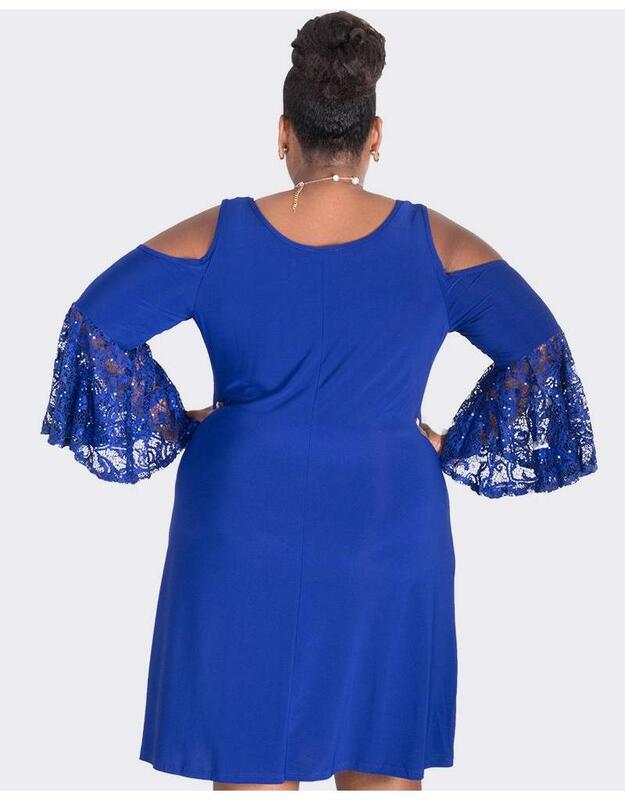 The easy to wear shift silhouette is simple yet elegant, making it an easy fit for your next formal event. 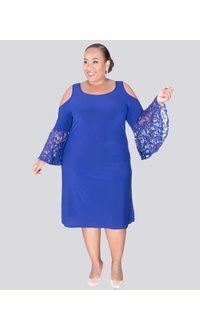 Pair this dress with accessories from our collection to complete your look.